There are lots of wintertime sports to get us out in the snow. Snowshoeing is simple, easy to access and super fun! If you want to explore the beaten path and adventure yourself off-trail too, then you’re going to need a pair of snowshoes and optionally a pair of poles. With snowshoeing you get to spend more time in nature and you can burn around 400 calories an hour, building bigger muscles while putting less impact on your joints. 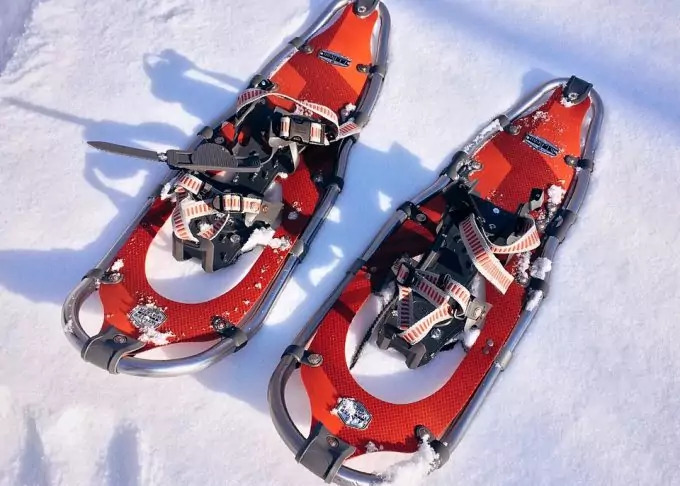 To figure out which are the best snowshoes, you have to learn more about the different types available, their characteristics and other important considerations as well. Snowshoes work by distributing your weight on the snow and they provide way more traction for walking than winter boots alone. 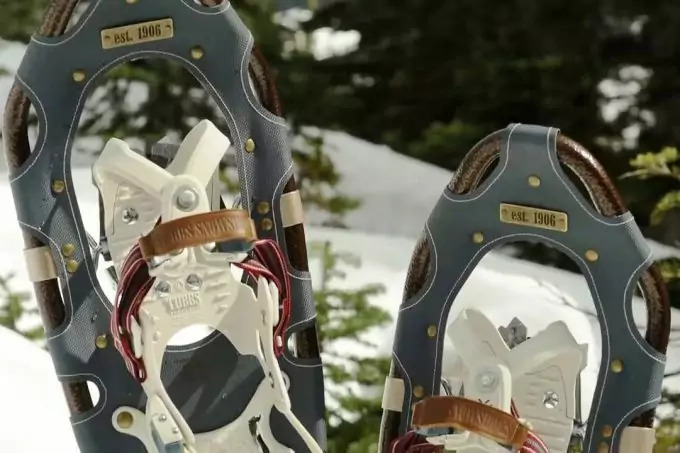 All snowshoes have 3 features in common, namely a frame and a deck that floats on the snow and gives the shoe shape, a binding that holds your foot to the shoe and crampons on the bottom for traction. It’s the variation of these features combined with the snowshoer’s total weight that make one snowshoe more appropriate than another for different types of terrain or snow. Deck: The deck is the part of the snowshoe that gives it floatation. Decks with a larger area have more floatation and therefore stay on top of the snow better than smaller decks especially in loose, powdery conditions. In general, heavier snowshoers will want a bigger deck size to support them and their gear. However, snowshoes with a smaller deck are easier to maneuver and they may be a better fit in packed snow conditions. Bindings: Bindings are the next common feature. Despite the most innovative designs, they all do a basic job. They have straps to hold any type of footwear to the small hinging platform and they align the foot above the main traction of the snowshoe. You want these to be comfortable and easy to take on and off, especially if you have gloves on. 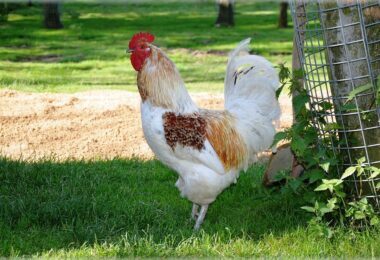 Another important aspect is their ability not to freeze or stiffen when the temperatures are low. Traction: While traction devices are a common feature in all snowshoes, their placement and how aggressive they are will vary depending on the type of terrain the snowshoe was intended for. For instance, minimum traction is needed for recreational walking on flat snow, but more traction is needed for snowshoers who want to go up mountains or deal with icy conditions. Going uphill and downhill requires more than body strength and a good pair of shoes. Flip-flop heel lifts are not a common feature. However, they make a dramatic difference when snowshoeing uphill or steeper terrain. They do this by changing the angle of your foot in relation to the snowshoe, which makes going uphill feel more natural. Also, they increase traction by keeping your weight more evenly distributed across the snowshoe. Check out our piece on how to snowshoe for more information. How many types of snowshoes are there? There are snowshoes for work, training, off-road, packed snow conditions, racing or training and so on. 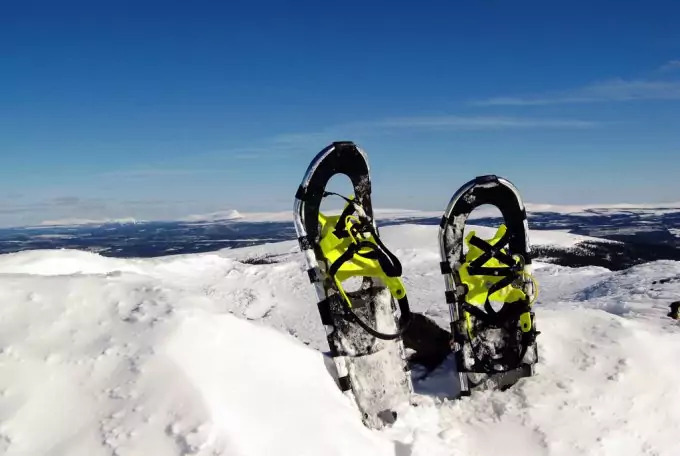 There are a few different guidelines you need to respect when buying a pair of snowshoes. A good pair of snowshoes will be anywhere between $90 to $300 and even more. One of the first considerations when buying a pair of snowshoes is to know if you’ll mostly be doing trail or off-trail. Trail means the snow is packed, so a smaller snowshoe with a good crampon and a good traction is the best. Off-trail means you’ll be dealing with lots of snow, so the more snow there is, the bigger you need your snowshoe to be. As a general rule, the taller the person is, the bigger the snowshoe needs to be. You can think of a boat. The bigger the boat is, the more weight you can put on it. So, to understand floatation, you must know it is about how wide and how long the snowshoe is. So, if you’re in a region where there is a lot of powdery snow, then you’ll need a really big snowshoe. The same goes for when you carry equipment. 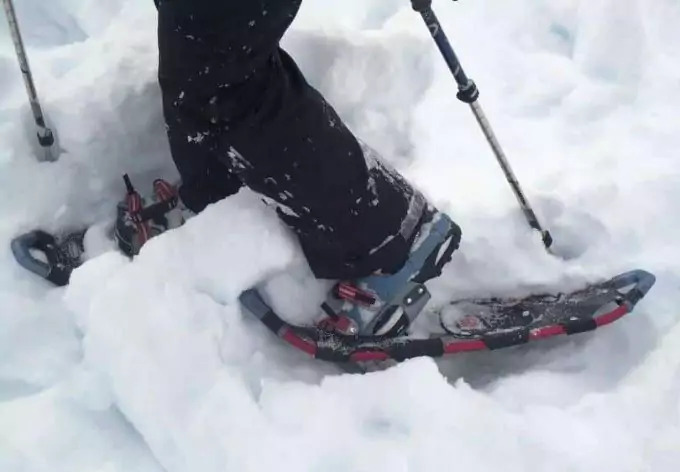 Another thing to consider when buying a pair of snowshoes is the terrain type. Where will you be snowshoeing? If you snowshoe on flat ground, then a good snowshoe that’s the lightest possible with a decent sized crampon is your best option. If you’re going a little bit more extreme in the mountains, then you’ll need a lot more traction, so you’re looking for a snowshoe with the best bindings possible to have the most control over your snowshoe, as well as the best traction to avoid sliding when climbing up or going downhill. Snowshoes come in unisex, men and women’s versions. The women-specific models are narrow in width and they can accommodate a smaller shoe size. Men tend to walk with their toes pointed out, while women tend to walk with their toes pointed in. To make it easier for women to walk, women’s snowshoes tend to be narrower in the tail. These being said, let’s see which snowshoes are the best for each category of snowshoes. This info will definitely teach you how to choose snowshoes in relation to your needs. Tubbs Snowshoes – FLEX Ridge Snowshoes feature the type of binding that allows you to put them on and off with ease. They come with an integrated heel strap that creates exceptional precision and handles up to 155 lbs. Recommended for easy hikes, this is the snowshoe that will not get you far, but you’ll be comfortable every step of the way. TSL Snowshoes – Symbioz Elite Snowshoes are provided with the type of traction that will not let you down. Ascending on the mountain can be more rewarding than ever if you have these hourglass-shaped snowshoes on! You may weigh between 150 to 300 lbs. to enjoy their unlimited grip. Their design is so ingenious that returns some of the energy reducing muscle fatigue. They bind in 4 places, fact which makes them comfortable and durable at the same time. Putting them on and off will not be a hassle even if they have so many bindings. Atlas Snowshoes – Company Treeline Snowshoe is best for multiday trips because it is light weighted and sturdy at the same time. The whole point is to focus on the user’s experience since he or she is taking a multiday trip, so its manufacturers added a heel lift bar. This one is meant to minimize calf and muscle strain. The light ride suspension system is all you need to break trail easier. Icy slopes aren’t an issue either since the crampons have a deep bite. Trek Snowshoe, Universal – Yukon Charlie 80-4002 is considered best for beginners. It can be easily used on rambling terrain and on powdery snow thanks to its universality. It is a unisex snowshoe virtually suited for any type of terrain. It features an integrated heel than ensures less calf strain and fatigue. Thanks to its ratchet binding, it is suited for multiple shoe sizes. Check out this informative article on the list of top snowshoes for newbies. 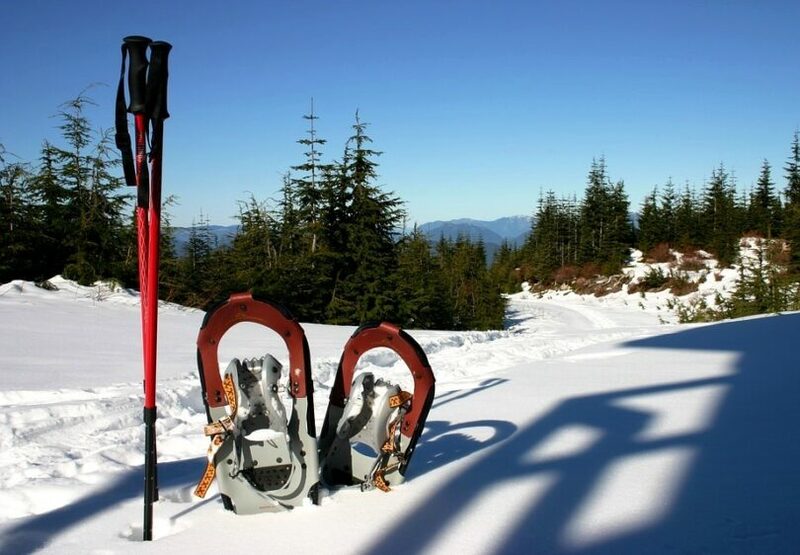 Tubbs Boundary Peak Snowshoe is ideal for those of you who want to carry weight. It comes with amazing features, such as rotating toe and rotation limiter that work best when it comes to obstacles and kicking snow up. 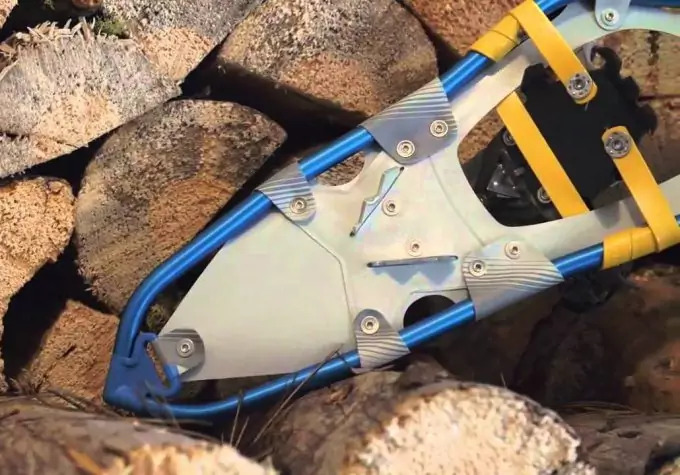 Steeper inclines are easier to tackle thanks to this snowshoe’s ActiveLift heel raiser. 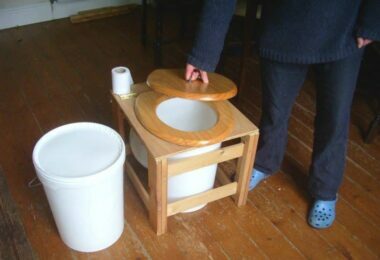 According to its manufacturer, it was designed for both utility and grace, but it is more recommended for its useful side. MSR Lightning Explore Snowshoe makes trekking a breeze. This is because it is light weighted and it offers unmatched stability. The edge to edge grip is ensured by 360 Degree Traction frames and Pivot crampons. Its ergonomic design makes fatigue seem like a bad memory especially during long days of walking. The toe out or toe in stance is no longer relevant for this model because the bindings can be independently adjusted bilaterally. In other words, there are no men’s or women’s versions for this model. Atlas Snowshoe Company – Endeavor Snowshoe comes with a crampon made of stainless steel that locks into frozen ground. As for its solid deck, it is highly efficient in case of soft snow. It is great for icy hikes as well and it is provided with a heel lift bar. This model is part of the backcountry collection and considered a pioneer. MSR Revo Explore Snowshoe offers an unforgettable experience when climbing thanks to its traction. While the bindings aren’t too complicated or featuring advanced technology, they are good enough to reduce pitching. The heel-lift bars are an addition that reduces calf strain, which are called Ergo Televators. What makes this snowshoe best for mountaineering are the aggressive perimeter teeth of extract deck and Pivot crampon. Atlas Snow Run Snowshoe is a unisex snowshoe that facilitates running through snow. The crampon penetration is deeper for this model and the foot articulates naturally. The bindings are light, but secure at the same time. As for its versatility, it is known to work well for hiking as well. Users praise the durability of this snowshoe even after running 100 miles and showing no signs of normal wear. Atlas Fitness Snowshoe allows a great range of motion and a smooth stride. Its components are light and sleek, so you can move more easily through the snow. Besides being functional, this snowshoe is also comfortable. The tubular aluminum V frame makes wonders when it comes to trekking. After all, snowshoeing is an aerobic activity and it must be treated that way. This snowshoe weights very little and it doesn’t give you headaches when it comes to bindings either. In fact, the binding consists in a single pull loop, spring-loaded cam buckles. Easton Mountain Products – Artica Trail Lightweight Ergonomic Snowshoes are your top choice when it comes to climbing. The plastic fittings contribute to the frame’s flexibility, so the angle of the trail is no longer important because the deck stays firmly attached to the slopes. The Virtual Pivot Traction Cam is also important because it ensures traction and better control. The frames are asymmetrical, fact which makes these snowshoes easier to wear because the position of your legs will be more natural. Quick-Cinch is the name of the bindings, which speaks for itself. Except the snowshoes that are unisex, all the models presented above have versions available for women. These were tested by experienced snowshoers who concluded there are no better options on the market at the moment. However, every user’s experience is different, so do not hesitate to look at the following best buy options that are currently available on the market as well. Price wasn’t a criterion for the types of snowshoes presented above. Speaking of price, here is a DIY tutorial for snowshoes in case you have no choice but walk through a snowy forest. This guy uses simple branches only, rope and fir tree branches to make himself a pair of snowshoes that will get him home safe. His method could come in handy in situations when you don’t go off-road prepared and there’s no other way out but walking. Instead of panicking, you can search for properly sized branches and do some manual labor. Maybe this will remind you to take some rope with you and other essential items wherever you go. Which are the top best buy options? 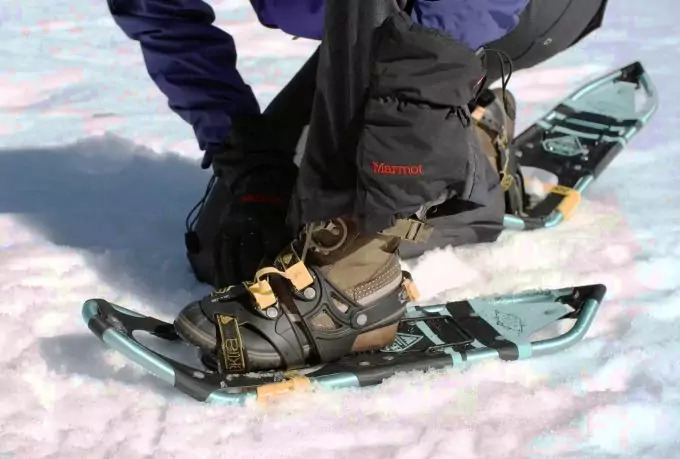 Various experts in this industry agreed that Chinook Trekker Snowshoes are the absolute best shoes for snow from every point of view. Atlas Elektra is a model that also made this chart with its women’s snowshoe that got 8 points out of 10 for its floatation properties. 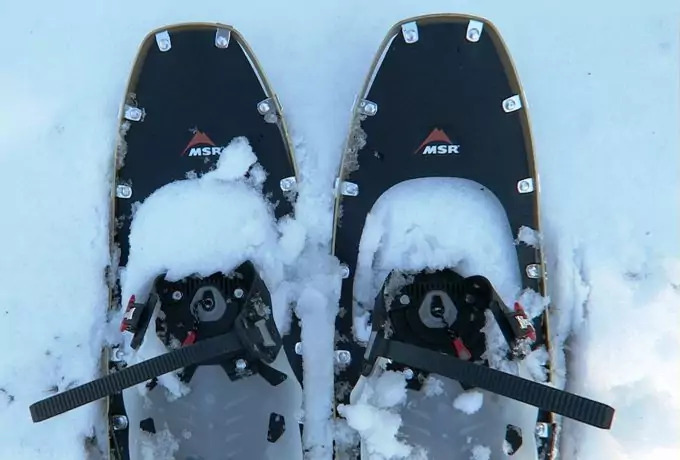 MSR Lightning Ascent qualified as the most secure type of snowshoe that costs under $300, while MRS Evo got 9 out of 10 points for floatation, traction, ease of use and security as well. Each has amazing features about which you will find out more below, along with a pair of snowshoes for kids. Chinook Trekker Snowshoes. 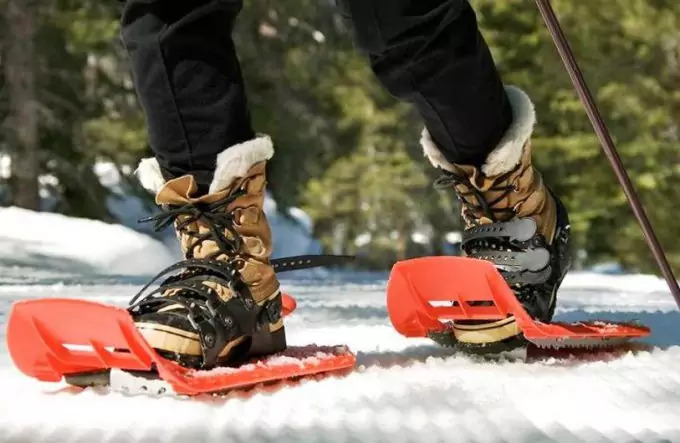 With a durable frame and the type of comfort that you’d want, these snowshoes have crampons that can rotate, so you’ll have a lot of flexibility on the snow. Aluminum is a top choice when it comes to making a product that is lightweight, it lasts for a long time and it is sturdy. The UV resistant polyethylene decking contributes to its resistance in time. Ideal for mid slopes, you can rely on its heel crampons to provide traction. The ratchet bindings provided with this snowshoe do not freeze. What more could you ask? Atlas Snowshoe – Women’s Elektra 823 Snowshoe. Easy to operate and specially made for a woman’s constitution, this snowshoe is durable and comfortable. The light ride suspension is an asset that you can’t overlook. 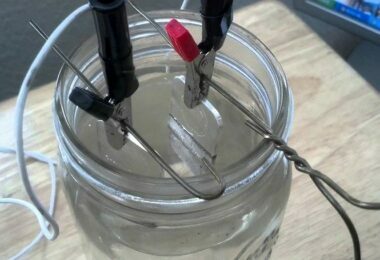 Its tails kick up a little snow, but when it comes to flotation, it is really good. It scored maximum points for ease of use, security and traction as well. The V-frames are specially conceived to save the user’s energy, as well as the heel lift bar. The frame is made of 7075 aluminum and the deck from Duratek nylon with abrasion finish. Tubbs Men’s Xplore Snowshoe. Suited for everyday use, Tubbs Xplore comes with an innovative and biomechanical aluminum Fit-Step frame. This one sounds as good as it is because it’s about reducing the impact on the joints by 10%. Another feature that is meant to help its user walk more easily is its rotating tor cord that has a lot to do with shedding snow off the tail. In addition, its heel crampons have notable usability when going uphill, downhill and side hill as well. Even if your boot doesn’t fit in perfectly the bindings will keep it tight. MSR Lightning Ascent Snowshoe. With almost a perfect score from all points of view, MSR Lightning Ascent Snowshoe comes with teeth that supply 360 degree traction and fantastic crampon. These features contribute to weight distribution, so they are pretty important. The Ergo Televators make sure the user doesn’t get tired too soon and the bindings offer a secure grip. Deep powder and rugged terrain are this snowshoe’s targets, but it can get you through virtually any conditions. The frame is made of 7000 series aluminum and the deck material is urethane-impregnated nylon. Tubbs Men’s Mountaineer Snowshoe. A versatile snowshoe, this one is conceived for the backcountry. Its surface is large, so it ensures great floatation and its bindings are easy to use. They feature the ultra-precise ActiveFit technology, while its crampons model 8-point Anaconda is basically snow shredding. A little bit on the heavy side, this snowshoe may also be used for recreational purposes. 6000 series aluminum is the material used to make its frames and thermoplastic urethane for its deck. This model is only destined for male use. Louis Garneau – Transition 723 Running Snowshoe. A snowshoe made for running, this one ensures a degree of speed that is hard to achieve when running on snow. Its frame is made of anodized aluminum, which means it is really light. Lightweight is a feature that a running snowshoe must have. Except all that, it has the greatest abrasion resistance and it comes with a lifetime warranty. Users say this model can be used on both packed trails and on wet or powdery snow. Lucky Bums Youth Snowshoes. A snowshoe model for kids, Lucky Bums has special bindings that are easy to use by them. You won’t have to worry they can’t put these shoes on and take them off. In addition, they have all the needed features, such as sturdiness, lightweight, durability, added mobility thanks to the hinge that lifts the tail and so on. These are reliable snowshoes ideal for trekking and for active kids that like to be outdoors in the snow. MSR Evo 22 Snowshoe. This is a classic pair of snowshoes that comes with modular flotation tails on demand. In other words, they are a pair of customizable snowshoes that can be used for multiple purposes. They accommodate a wide range of footwear and they provide a secure and lasting grip. They are light to wear and, according to a few users, you might think you don’t need them, but when you take them off, you’ll end up buried in snow. Crescent Moon Gold Series 9. These snowshoes are handmade in America. They are free of materials like PVC, VOC and other chemicals. 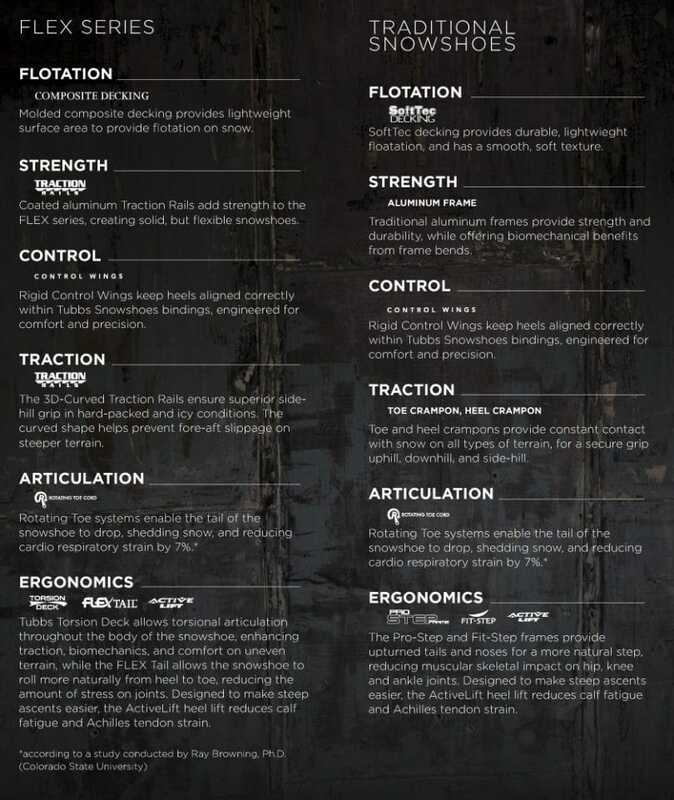 They come with a 3 claw tractions system, which means they can be used on complicated trails. Easy to cover ground with, Crescent Moon Gold Series 9 is the type of snowshoe that makes a difference when you have previously experienced other snowshoes. For instance, its shape is not traditional and that’s a good thing because it offers more maneuverability. Winterial All Terrain Adult Snowshoes. This pair of snowshoes is unisex and made of high-quality aluminum. Conceived for extreme weather conditions, they are lightweight when on foot and when in the backpack as well. Provided with 3 straps, their binding system fits a wide array of winter boots. Most users think this pair is fantastic, while others complain the materials aren’t optimized to hold up and maneuver at low temperatures. What concerns people about snowshoes? Many people who are beginners at snowshoeing have the same questions. They want to know which the difference between the left and the right snowshoe is, what kind of footwear and clothes they should be equipped with, how exactly to choose the size of the adjustable snowshoes and so on. So, here are a few basic principles that you should be aware of before starting snowshoeing. First of all, you should know there is a difference between the left snowshoe and the right snowshoe. 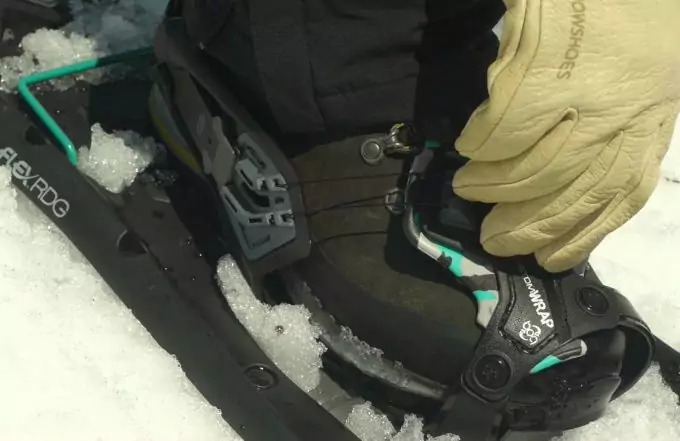 For the adult and junior models equipped with either ratchet or fastened bindings, the buckles of the bindings should always face towards the outside. The only exception to this rule is present in bilateral bindings, which are usually features of snowshoes for advanced snowshoers. Second of all, snowshoes accommodate footwear, so they cannot be worn without other shoes on. A good waterproof hiking boot seems to work best with snowshoes. Even so, some experienced runners use their running shoes when they buckle up snowshoes that facilitate running or cross-training. As for clothes, you have to keep in mind that snowshoeing is an aerobic activity that will keep you warm. Choose a wicking base layer and a waterproof top layer. Third of all, snowshoes work by dispersing the user’s weight across a larger area of the snow. Here is the industry’s standard: 7 inches x 16 inches for junior user and gear up to 100 lbs., 8 inches x 21 inches for user and gear up to 150 lbs., 8 inches x 25 inches for user and gear up to 200 lbs., 9 inches x 30 inches for user and gear up to 300 lbs., 10 inches x 36 inches for user and gear up to 300 lbs. Always go for the bigger size rather than the small one and remember to count your clothes and boots before purchasing a pair. Next, after you’re done with your snowshoes, you shouldn’t follow any specific maintenance steps. However, you can wipe them down before storing and keep them in a dry and cool place. They are made to keep up with strenuous weather conditions, so they are sturdy enough not to get damaged without special care. Poles are a necessity for those who decide to walk on heavier trails. They aren’t applicable for runners or for recreational walks. When going uphill and downhill, you’ll feel the need to maintain your balance somehow. This is when the poles come in handy. Any trekking poles can be adapted to snow, so there’s no need to buy new ones. However, if you are new at hiking altogether, then here you’ll find a pair that is made of 100% carbon fibers. They come with Tech Tips, which you can change depending on where and when you’re going. When will you float on snow? 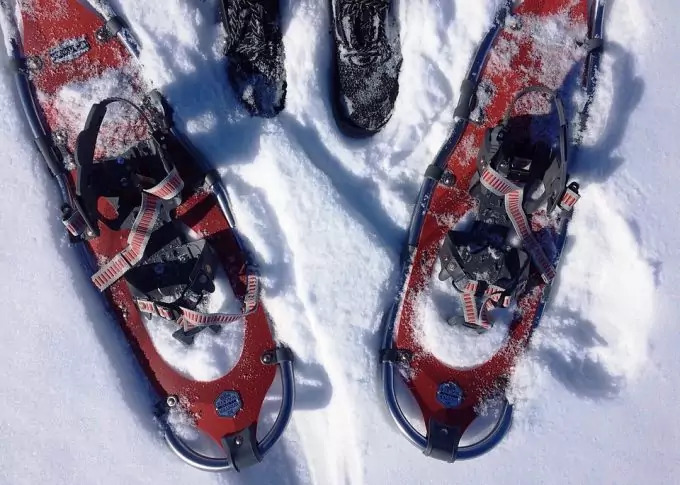 Now that you know everything there is to know about snowshoes, the question is no longer which pair of snowshoes to buy, but when will you begin your snow-floating journey? Spending time outdoors and moving your body are excellent ways to keep both your mind and your health in tip top shape. Snowshoeing is as easy as walking, plus extras, such as the view, the fresh air, the peace of mind and the company. You can express your personality by choosing different colored snowshoes and enjoying their characteristics at the same time. You have an entire variety to choose from, so go ahead! 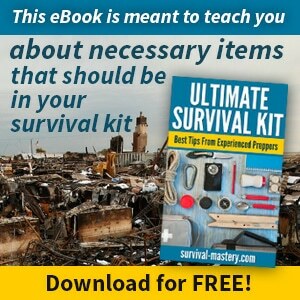 Samuel is a prepper with over 15 years of experience. 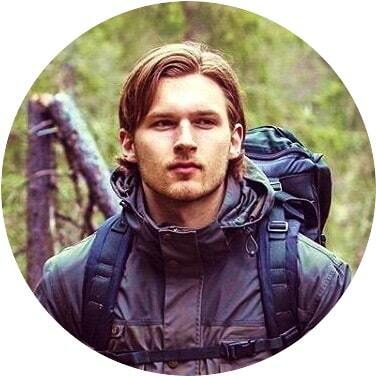 Samuel is excited to share his knowledge and the things he learns while travelling in British Columbia, Canada where he lives and around the world.